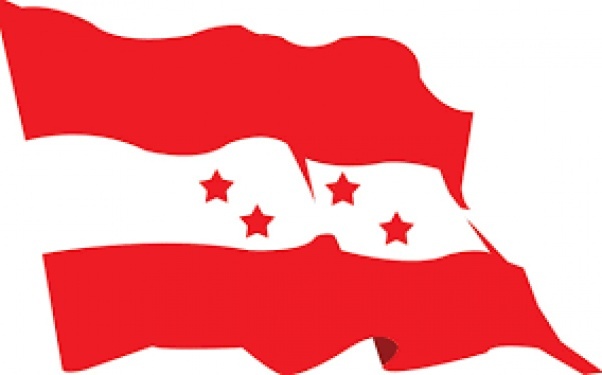 KATHMANDU, March 26: When the new constitution was promulgated in 2015, Nepali Congress, the party leading a coalition government at the time, tried its best to turn the historic occasion in its own favor. The party not only took credit for the constitution, but also tried to project republic, secularism and federalism as its exclusive agenda. Four years on, as some influential NC leaders question that same agenda and put themselves on the forefront of calls for the restoration of a Hindu state in Nepal, many are asking whether this U-turn would further weaken the authority of the already inept main opposition party. These concerns come at a time when the left government led by KP Oli, banking on its two-thirds majority in parliament, has been taking one after another decision of national import without consulting the opposition parties. After bringing the Money Laundering Investigation Department, Inland Revenue Department and National Investigation Department under the purview of the Prime Minister's Office, Oli, in a possible breach of the constitution, is pushing for a major change in the law to allow him to mobilize the Nepal Army on his own on a pretext of emergency. Wrong priorities, coupled with a lack of strength in parliament and inability to heat things up in the street, could encourage the government to completely ignore the opposition, opposition leaders fear. Several NC leaders including party General Secretary Shashank Koirala have been voicing the need for restoring Nepal as a Hindu state. Addressing a function Wednesday, Koirala demanded a referendum on secularism and federalism, although he later accused the media of misquoting him. “All we are saying is there should be religious freedom. The word secularism has negative connotations,” Koirala told Nagarik daily in a recent interview. NC leaders think that Koirala, who has been eyeing the post of party president, might be trying to leverage religious sentiment to garner popular support. Against the backdrop of its approaching general convention, the NC has been seeing a gradual shift in balance of power. Multiple leaders have been trying to build support for a run for the presidency. In recent weeks, several dissident leader in the party including Ram Chandra Paudel, Krishna Sitaula, Shashank Koirala and Prakash Man Singh have joined hands to challenge the party president, Sher Bahadur Deuba. Internal wranglings and attempts by some to undermine the agenda endorsed by the party are distracting the NC from important issues, party insiders say. Following Koirala's controversial remarks, NC leaders including Gagan Thapa had reiterated commitment to the endorsed agenda. Party supporters say the very existence of the party would come under threat if it fails to resolve its internal issues and stand united against the government's arbitrary moves. NC spokesman Bishwa Prakash Sharma, while admitting some lapses in the past, said the party stands united on issues relating to governance. He said the party has a common point of view on all issues. “Despite some internal differences, the party stands united and remains committed to the agenda upheld by it,” he said .